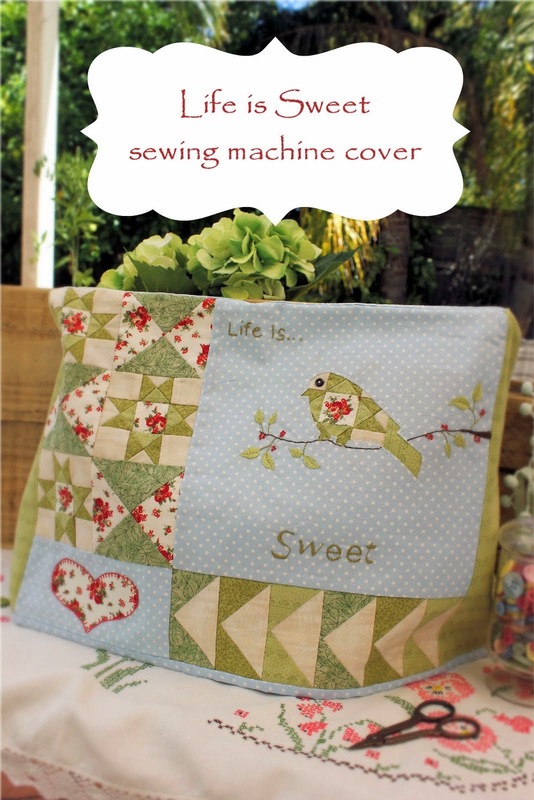 Sew Useful Designs: New pattern launch and a giveaway! Do you like it? I think the Red Robin is singing a very pretty song to the happy snowman. Just check out that smile!! “Seasonal Notes” is a felt and fabric covered notebook with detachable rings – so you can write your Christmas shopping lists… or make notes for your letter to Santa… and still use it next year when all the pages run out – because they can be replaced. :-) It has a double use too – because when you’re not writing in its pages, you can sit it on a table or shelf and admire it as an ornament. I think it would be nice stitched into a cushion or pillow – perhaps a wall-hanging - or even a journal cover for an expectant mum-to-be. I have decided to give away both patterns for these designs to three lucky readers. All you need to do is leave a comment on THIS blog post. If you do not have a blog, no worries, just make sure you leave your email address in the comment so that I can contact you. The giveaway closes on Saturday 21st November, 10am Melbourne Time. What gorgeous projects Vikki....you have been super busy!!! They are both absolutely delectable..if I had an ounce of your talent and creativity, I'd be bursting!!! Well done my wonderful bloggy friend. Very beautiful the two projects, like all his works. It would be a dream and a great Christmas present be drawn. They are so cute count me in and good luck to all. They are both just adorable. The snowman looks like he is ready for a big hug. Beautiful picture of "Mothers Love" too. Very cute designs. Thanks for your giveaway. as you know anything with a Robin theme gets my vote, please include me. I just love love love the notebook! Fantastic! I can't see the embroidery very well though because of the lightness of her face, but from what I can make out it's just gorgeous! Could you maybe give us a closeup picture of her and the babies face? And thankyou for yesterdays free ornament! It's just lovely! I love both designs. I sure am glad you cn do that. I have no idea how to design such beautiful things. Wow, I like your designs, especially the snowman and the bird. It is just as nice as the gum tree designer freebies. I would like to join the give-away. 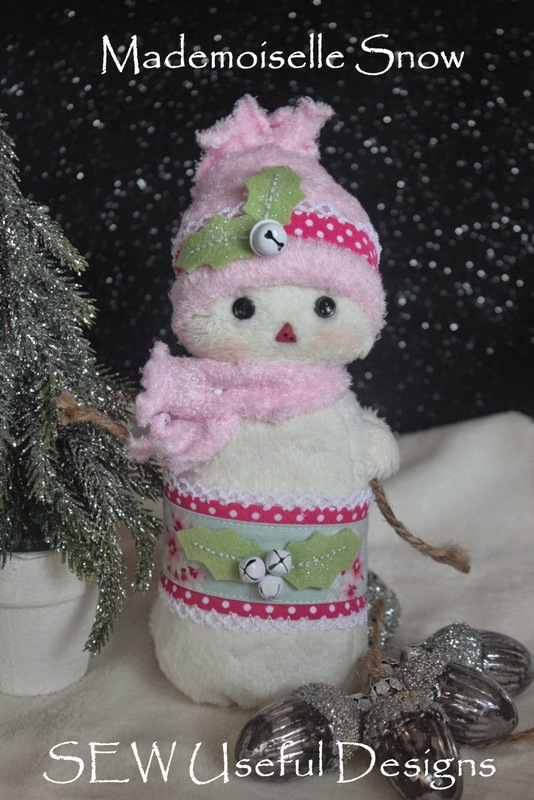 How cute is that snowman and the other stitchery is lovely would love to be a winner count me in....thanks! Your designs are great please count me in . Lieve Vikki ~ you are not just talented, you are very very talented. What a darling snowman with the cutest birdie singing for her. That will make a very special notebook indeed. And the stitchery is very sweet indeed. I can't see it that well though. You must feel very happy and proud to have created such loveliness! Heel veel liefs voor jou! I like your designs so much. The little Robin is so sweet and the snowman too. 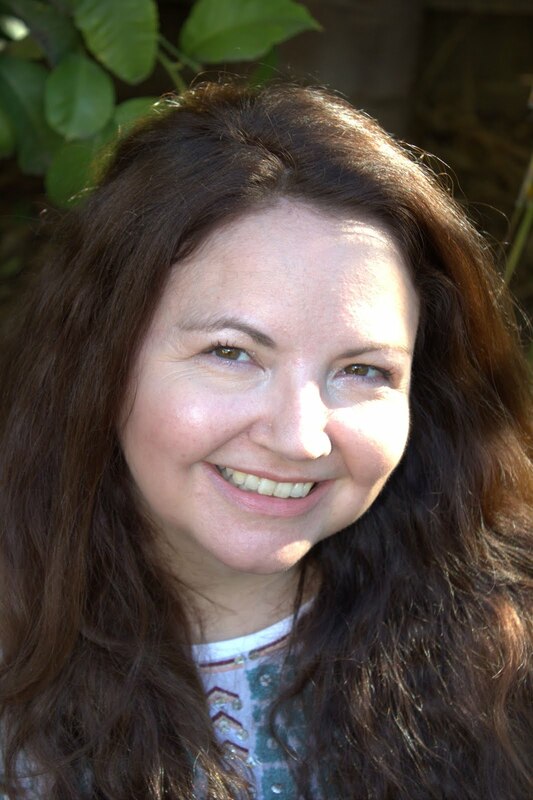 Vikki, your work is wonderful! Please include me in the drawing. Thanks! Vikki your patterns are warm and wonderful....Please count me in your give-a-way.. 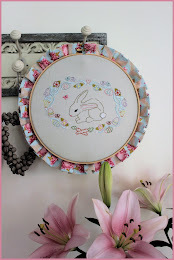 So cute Vikki and the stitchery would be a perfect gift for a new mom. Lovely. Hello Vikki,beautiful work.The stitchery would be perfect gift for my pregnant daughter.Thank you,have a wonderful day. Oh Vicki they are soo cute!! As always your designs are gorgeous and inspiring,who wouldn't love the chance to win one let alone two of them.....I certainly would! Please enter me in your giveaway for my chance to win these lovely designs :) Barb. 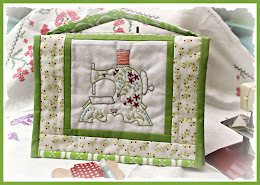 Hi Vikki, what gorgeous projects! You are obviously in you element dreaming up all these lovely designs, keep it up I say! Kudos to your imagination. Love the variety. Wow, both of these pieces are gorgeous. How very generous of you to have a such a great giveaway! Congratulations with your new designs. They are beautifull. You go girl! Your designs are gorgeous, Vikki. I like to win one of them! The Gum Tree design I already printed out, it is so nice in design and color. What lovely designs! I especially love your seasonal notes with the snowman on it! Awesome projects Vikki, I do love that smiling snowman! Both designs are gorgeous, but I have to admit I've always loved snowmen...and he has such a lovely look on his face. Also that background fabric is divine. BTW, I'm not sure if I've done the mail notification thing right...are you sure its my email address I need to put in? Please include me into your wonderful giveaway. beautiful designs! That snowman is just soooo cute! Oh Vikki - what wonderful projects you designed. I would love to win the patterns. Oh my goodness I love the snowman - but the mum one made me well up with tears, it's so beautiful! You are so talented, girl! Vikki....How in the world do you come up with these great ideas?? Pick me!! I want to win sooooooo bad.....(gg) I have no humility anymore ;? Wish I could doodle like that! And come up with such a lovely scene, and even better, a pattern. They are both gorgeous. The santa is really very handsome! Such nice designs you have, Vikki. I would love to have a pattern for putting together a book like that! Thanks for counting me in. Vicki, what a beautiful stitchery! and the snowman notebook is marvellous! I would LOVE to win one of these!! Thank you for sharing your talents with us all. Great pattern - so adorable. Vikki, thank you for the opportunity to enter in your competition, they are both (designs) beautiful. Your talent is amazing, as are all the girls who make up the Gum Tree Designers. I will be very sad when the free Chrissy designs are finished. Hi sweetie, more beautiful goodies. Keep this up and we'll be expecting them regularly.... no pressure of course-LOL, after all its not like you have anything else to do is it? Your projects are gorgeous. Just love that snowman! I like your designs so much. They are so sweet and lovely too. Vikki, that little snowman is so cute. You are so creative. I would love to win but never do win anything. I enjoy your blog. Thanks for the fun giveaway game. I lopve them. Please count me in. Thank you so much for the free Christmas ornament pattern. Can't wait to get started on one. What lovely designs you have Vikki! You have been really busy!! Your snowman that you have created brought a smile to my face immediately. Thank you for a chance to receive a wonderful gift. Hello. Whawwwww, your sititcery and your snowman are beautifull. Thank YOU so much! This is very generous of you! Love them both! 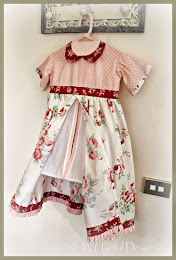 What darling patterns....would love to win one! Thanks for sharing. The stitchery is very pretty too. Good luck with your new Etsy store. Please count me in your giveaway. Your projects are delghtful. Thank you for the opportunity. Oh Vikki, your designs are divine. How lovely the little red robin is. We always have one in our garden through the wintertime. And the snowman have so kind eyes. Please look my way with the giveaway. Hi Vikki, beautiful designs. I like both of them. Lovely projects Vikki!! Please enter me in your generous giveaway. Love your designs! I really like the snowman. I am a snowman collector and I like to do redwork. These patterns are so cute. The little hat on the snowman is so sweet.